Railway Depot. Bellows Falls, VT. Late 1800s. Railway Depot. 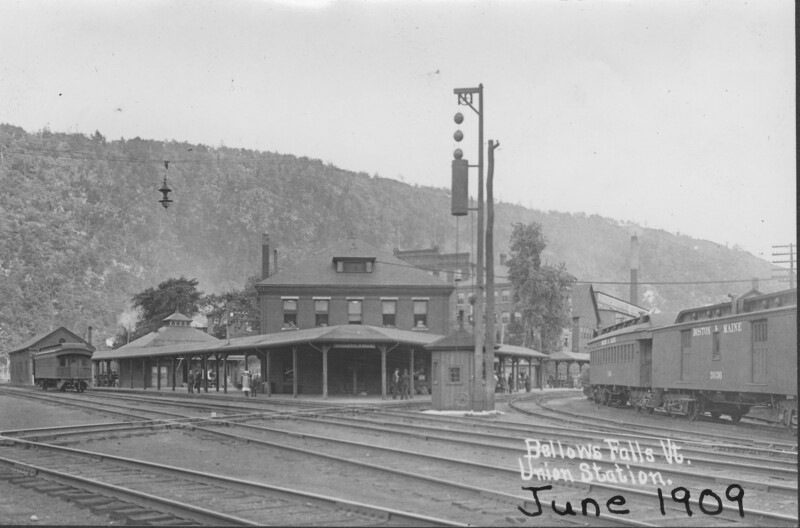 Bellows Falls, VT.
"Union Station" noted on photo. “Railway Depot. 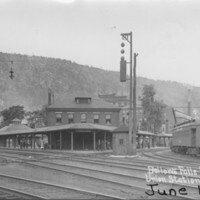 Bellows Falls, VT. Late 1800s.,” Rockingham Library Historic Photograph Collection, accessed April 26, 2019, http://rockinghamlibrary.org/history/items/show/1405.